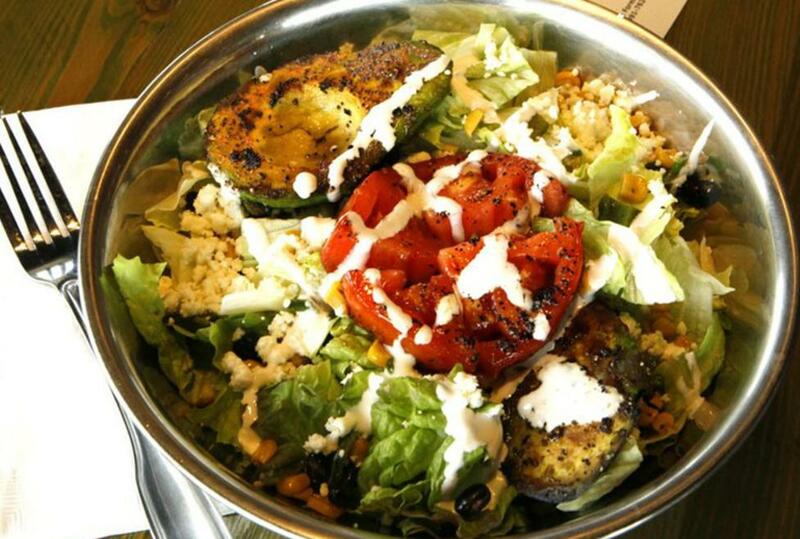 Snappy Salads offers more than 14 distinctive salads as well as a "create-your-own" option. Soups and salad dressings are made on-site. All-natural chicken and hormone- and antibiotic-free sirloin are cooked over mesquite. Produce is received three days a week in order to serve the freshest salad possible. An example of a speciality salad is the Grilled Avocado Salad which combines red leaf lettuce, iceberg, a corn, black bean and poblano relish, grilled avocado and thick-sliced tomato (served warm), queso fresco, house-made Chipotle-Lime Vinaigrette (made with fresh-squeezed lime) and Mexican crema. Snappy Salad's environmental commitment is evident in the actual facility - the chain incorporates building materials like reclaimed wood, recycled porcelain, beer and wine bottle countertops, and low-watt lighting.